Today I am sharing this fun and free printable Birthday game called Birthday Alphabet Game. I have made this game in 4 different colors. This game is fun to play and it can be enjoyed by all age groups. All my games are free for personal use. 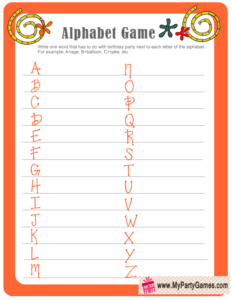 These games are mostly in PNG format so you can easily print these using your home printer. I hope you will have loads of fun on your birthday party. 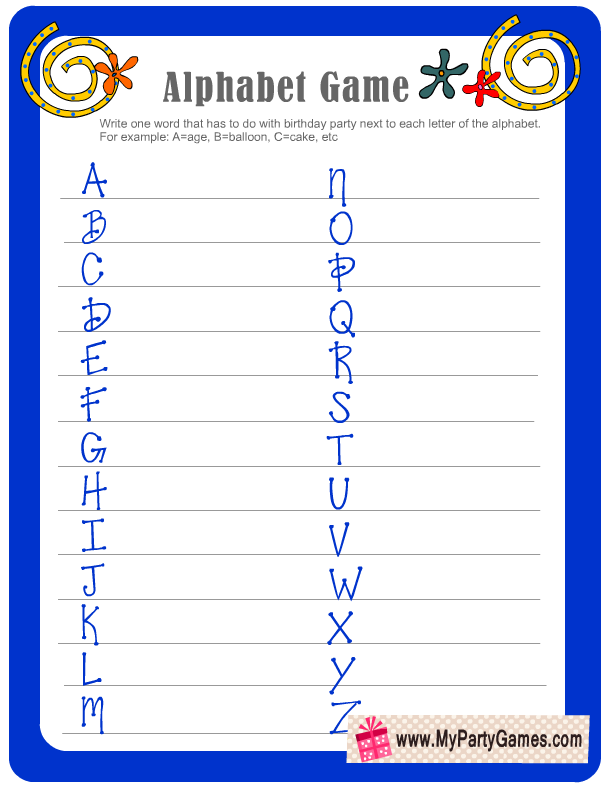 Print and distribute the birthday alphabet game cards among your birthday party guests along with a pen or pencil. 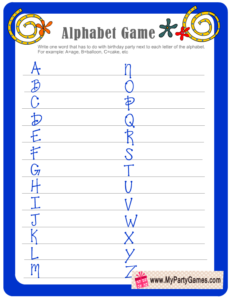 Ask them to write one birthday related word with each letter of the alphabet like A=age, b=balloon and c=cake etc. Set the timer to 3 minutes. Ask them to stop writing after 3 minutes. The person who has made most birthday related words using most number of alphabets will be the winner. I have made this cute, fun and free printable birthday alphabet game worksheet in red color. Red color is liked by everyone. In order to save this game, just click on it’s thumbnail image and then right click and save the bigger image. 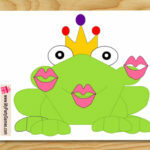 Here is another free printable for this game. This is in blue color. 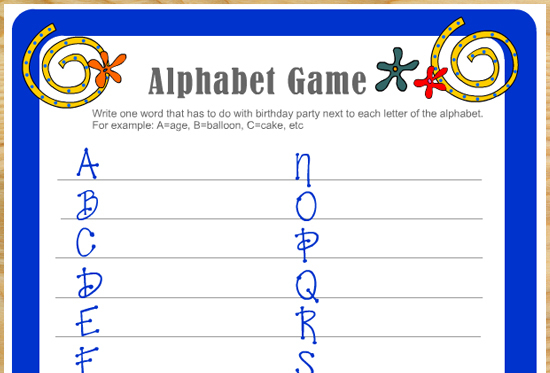 I have made cute graphics and a blue border on this birthday game worksheet. 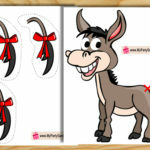 You can download this game in blue color for birthday party of a boy. Here is another adorable worksheet for this game in pink color. I have used the same graphics for each printable game card but I have made these game cards in different colors. 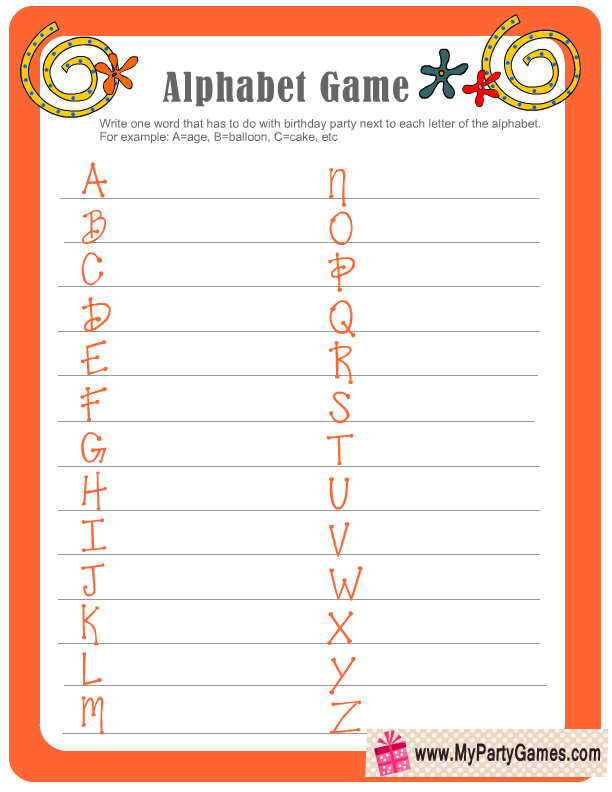 Here is another cute free printable worksheet for this game in orange color. Please pin the thumbnails and not the printable image to pinterest. Also please share the links of my games but do not steal the images from my website. I’ll be looking forward to read your comments and feedback.